Here is this week’s Podcasts in Review. Some of the summaries might be a little plain as I’m leaving out any Solo spoilers for the time being. Blast Points Podcast: Episode 125 is their Solo discussion episode as they go over their initial thoughts then dive in and walk through the movie. Interesting thought about connecting L3 to Star Wars: Adventures in Colors and Shapes. Worth noting, there were some things they had issues with, which seems to be a common theme with the Solo podcast discussions. Brews and Blasters: Episode 169 they share their thoughts on Solo, first 3 minutes is spoiler free, then they go into spoilers for the rest of the show. They go through the entire movie and provide a fun breakdown and discussion. Lot of positivity and fun in this one. 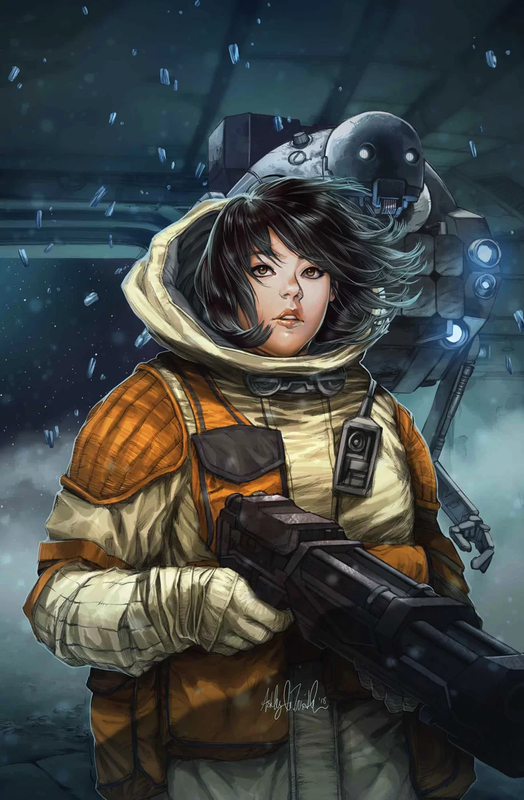 Marvel has one new Star Wars release today. Latest Databurst From the 501st covering 501st Legion events around the world from May 30 to June 5th. As always, be sure to mark your calendars and support your local garrisons. Badlands Garrison will be in Grande Prairie, AB for the Year End Event for AMA School Safety Patrollers, and the Card’s Board Game Cafe Star Wars Party. Central Garrison will be in Fargo, ND for Star Wars Night with the FM Red Hawks at Newman Outdoor Field. North East Remnant Garrison will be in Hewitt, NJ for the Upper Greenwood Lake Elementary School Science Fair from 8:00 to 9:00 PM. Redback Garrison will be at the AusCERT2018 Cyber Security Conference. Swiss Garrison will be in Germany at LEGOLAND Germany from May 31 to June 3rd. Forces of Destiny is on top of their game with a new episode featuring Qi’ra from Solo. 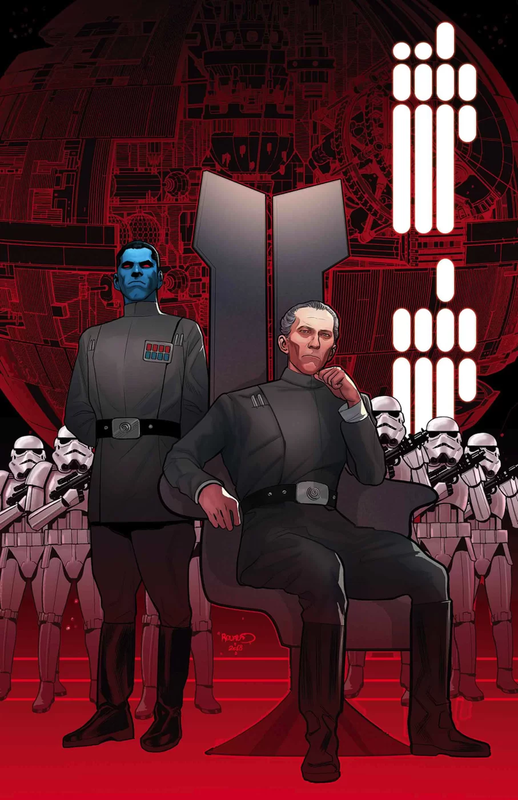 The latest issue of A Star Wars Comic is out today. 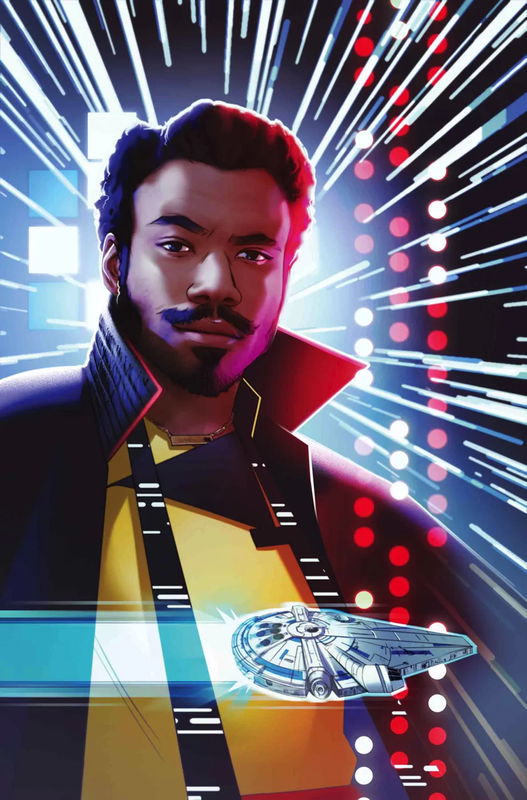 Adventures in Poor Taste has a preview of Lando – Double or Nothing #1. Phoenix Comicon is May 24 to 27 in Phoenix, AZ. Star Wars guests include Steve Blum, Katie Cook, Joe Corroney, Tim Curry, Delilah S. Dawson, Jason Fry, Adi Granov, Tom Hodges, R. A. Salvatore, Charles Soule, Chuck Wendig, and Wil Wheaton. MantiCon is May 25 to 27 in Minneapolis, MN. Star Wars guests include Timothy Zahn. Star Wars: Galactic Nights is May 27 in Disney’s Hollywood Studios. Lilac City Comicon is June 2 to 3 in Spokane, WA. Star Wars guests include Daniel Logan, and Timothy Zahn. Origins is June 13 to 17 in Columbus, OH. Star Wars guests include Timothy Zahn. All*Star Comic Con is June 15 to 17 in Tysons Corner, VA. Star Wars guests include Jason Aaron, John Jackson Miller, and Brian Muir. Westercon is July 4 in Denver, CO. Star Wars guests include Kevin J. Anderson. Blast Points Podcast: Episode 124 follows along with Jason and Gabe at The Detroit Institute of Arts as they visit the Star Wars and the Power of Costume exhibit. They have some audio of some of the speakers at the exhibit opening talking about the event and the props, then they have audio as Jason and Gabe walk around and enjoy all the sights to be had. A bit different than usual since this one is live from the scene, but the audio quality is still pretty good. A fun listen. Brews and Blasters: Episode 168 starts with some hype for Solo as the days draw nearer, then they dive into the Star Wars Resistance announcement and spotlight one of the voice actors, Bobby Moynihan. Cool episode as I never realized just how big a Star Wars fan Bobby Moynihan was. Nice way to start getting pumped for Star Wars Resistance. Latest Databurst From the 501st covering 501st Legion events around the world from May 23 to 29th. Lots of events for Solo. As always, be sure to mark your calendars and support your local garrisons. Central Garrison will be in Andover, MN for the Hope 4 Youth Fundraiser at Pizza Ranch. Czech Garrison will be in Praha-Zličín, Czechia for Star Wars Weeks at OC Zličín from May 23 to 26th, and in Prague, Czech Republic for the Solo midnight screening at Kino Lucerna Theater. Danish Garrison will be in Aarhus, Denmark for Solo at CinemaxX Aarhus from May 23 to 26, in Odense, Denmark for Solo at CinemaxX Odense, in København, Denmark for Solo at CinemaxX København from May 23 to 24th, and in Haderslev, Denmark for Solo at Kosmorama. Dutch Garrison will be in Ede for Solo at Cinemec Ede from May 23 to 26th, in Sittard for Solo at Foroxity Sittard, in Hilversum for Solo at Vue Hilversum, and in Eindhoven for Solo at Vue Eindhoven. Garrison Carida will be in Philadelphia, PA for Star Wars Night with the Phillies at Citizens Bank Park. German Garrison will be in W rzburg for the Solo premier at CinemaxX. Knightfall Garrison will be in Melbourne, VIC, Australia for the Solo midnight premier at IMAX Melbourne from 10:00 PM to midnight. Midsouth Garrison will be in Nicholasville, KY for the Solo release at Movie Tavern from May 23 to 26th. Nordic Garrison will be in Malmö, Sweden for Solo at SF Royal Filmstaden, in Lund, Sweden for Solo at SF Filmstaden, in Ronneby, Sweden for Solo at Ronneby Centrumblografen, and in Stockholm, Sweden for Solo at the Mall of Scandinavia. Redback Garrison will be at Cinemas Chermside for Solo, and at Cinemas Pacific Fair for Solo. Star Garrison will be in Carrollton, TX for the DeWitt Perry Mighty Eagle Band Concert. 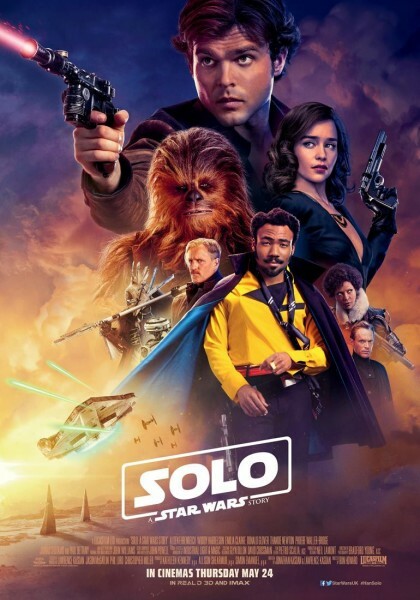 UK Garrison will be in Bristol for Solo at Cineworld Bristol from 11:15 PM to 12:30 AM, in Manchester for Solo at Vue Cinema from 10:00 PM to midnight, in Darlington for Solo at Vue Cinema from 9:00 PM to midnight, and in High Wycombe for Solo at Cineworld High Wycombe from 11:00 PM to midnight.